Edit and delete patterns. Working with dates and times. Associations other than one-to-many. Performing an edit on content within your app is done in a very similar manner to the ‘add new’ task we have already learned. You create two view models, one for generating the edit form and the other for handling the POST action. The EditAndDelete web app code example, in the GitHub repository, will help you learn about both patterns. 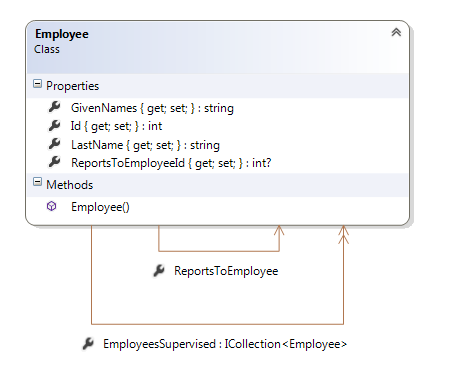 Look at an entity object’s properties, and decide which are to be editable. anything else that needs to be rendered (e.g. SelectList for a UI control for the Sizes and Suppliers). Note that we can use data annotations to pass content that we don’t want edited by the user into the HTML Form. For example: [Hidden], [ReadOnly(true)], etc. Next, create a view model class (e.g. ProductEdit) for the object that the user will post back. The edit pattern requires a GET method and a POST method, similar to the ‘add new’ functionality. In the GET method, create and configure the object to send to the view, and do it. In the POST method, two verification checks should always be performed. The first checks whether the incoming object passes ModelState.IsValid. The second checks whether the identifier in the URI matches the identifier in the posted object. If both these checks pass, send it along to the manager object method that does the work. Handle the return value in an appropriate way. If either check fails, return the ‘edit’ view, which will tell the user what to fix. It examines fetchedObject, and performs a property-matching task (name and data type). On a match, if the values are different, an update is performed. (If the values are the same, it moves on to the next property. Navigation properties are ignored. Extra properties are ignored. Missing properties are ignored. The ‘ignore’ result does not raise an exception. Later in the course, we will learn how to enable this kind of operation for authorized users only. Like the ‘add’ and ‘edit’ patterns, this is often done as a GET and POST pair. We display an HTML Form to the user, prompting them to confirm that yes, they want to delete the object. Create a view model object with enough information for the user to make a decision. The delete handler method performs one or more validity checks, and then calls a manager method to perform the delete. The manager method, in our initial design approach, returns a bool result. If you wish, you can use that to return an appropriate result to the user. The above approach would permanently delete the object from the persistent storage. This is not always a good thing. In most systems, it is better to design based on setting a delete flag in the data. The code discussed in class would be similar, except the Remove() method would not be used. Instead you would “Edit” the object and set the delete flag (which would be a parameter in your design model class) to “True”. All your LINQ statements would then take into account this “delete” flag when doing queries for information. Working with dates and times is hard. Especially on the web. Working with a DateTime in code; create from Now, create from user-provided data. Popular to-string methods. Basic date arithmetic. Dates on the world wide web. GMT. Local time. Offset. Dates in HTML5 (and in modern browsers). Display. Input from user. Browser widget assists. Visually good in Chrome. Not so good in other browsers. Dates in a persistent store like our database server, SQL Server. datetime, datetime2. Improving date handling in a browser, with Boostrap ‘datepicker’. The DatesAndTimes web app code example, in the GitHub repository, will help you learn about dates and times. The web app code example uses a date picker to help the user enter a date. Here’s how to use it. First, use NuGet to locate and install the Bootstrap Datepicker. After installation, look in the Scripts folder, and you’ll see that it’s there. This code will add date picker support to the HTML element with the matching value for the ‘id’ attribute. Check out the view model class property names – that’s where these values come from. Many problem domains have a “many to many” relationship among entities. In our classes, we simply create collection properties for both ends of a many-to-many association. Then, we perform data operations by using the same technique that’s used for the “to-many” end of a one-to-many association. Manager: When fetching an object, use the Include() method if you want to include the associated object(s) in the fetch. You’ve done this before. Make sure that the method’s return type is correct (e.g. IEnumerable<MovieBaseWithActors>). AutoMapper: Define your maps as you have learned. No special steps are required. When the map is executed, the associated collection will be correctly processed. Study the ManyToMany web app code example on the GitHub code repository. Some problem domains have an entity that must have one or more references to itself. A classic example is an “Employee” class. However, if the Employee is a supervisor, then they will have a collection of Employee objects that they supervise. When you define a value type property, it is mapped, by convention, to a “not null” column in a relational database table. However, you can ‘allow nulls’, by using a nullable type in your design model class. How? Define a value type (e.g. int, double) property as nullable in a design model class. Then, the SQL Server database engine will create its table column with the “allow nulls” checked/set to true. This is an Entity Framework Code First convention. It causes the relational database server to correctly configure the table and relationship. Then, we perform data operations by using the same technique you’ve used before, using the navigation properties. Do not use the nullable int property. Manager: When fetching an object, use the Include() method if you want to include the associated object(s) in the fetch. You’ve done this before. If you want to include several associated objects, add several Include() methods. Make sure that the method’s return type is correct (e.g. IEnumerable<EmployeeBaseWithEmployees>). AutoMapper: Define your maps as you have learned. No special steps are required. When the map is executed, the associated object or collection will be correctly processed. Study the SelfOneToMany web app code example on the GitHub code repository. Some problem domains need a one-to-one among entities. An example, based on the one above, is where an employee has a home address, and/or a work address. The address should be its own entity, because that’s a better design. One end must be “principal”, the other end is “dependent”. An Employee object – the Principal end – can exist without the object at the other end of the association. In other words, must (can) create the principal object first. An Address object – the Dependent end – must be configured with its associated object when it’s created. In the design model class, the navigation property to the other end of the association (on which it depends) must have the “Required” attribute. Coding and working with the associated objects is similar to what you’ve seen before. Study the OneToOne web app code example on the GitHub code repository.